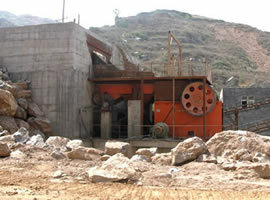 Because of the high precision adjusting device, so the production of crushing machines, especially the application of Symons cone crusher, requires to be sure to monitor crusher's overall performance during the production process and do maintenance and repair timely. Next, let's talk about the contents of various forms of maintenance. Minor repair content: Check and mend the abrasion and lubrication of the suspension system, anti-dust device, eccentric sleeve, bevel gear wheel, thrust disc, drive shaft bushing of Simons cone crusher. Check and repair the lubricating system and change the lubricant. Check and mend the abrasion and fastening conditions of each lining board. Minor repair cycle is about half a month. Medium repair content: The inspection interval is mainly determined by the abrasion status of the conical liner, bed liner plate and drive shaft bushing. It includes: Replace the broken conical liner; Repair or replace the wear-out parts of drive shaft, drive shaft bushing, bevel gear wheel and suspension system; Repair or replace the eccentric sleeve, internal and external the bushing, and electrical equipment. Medium repair generally should be conducted every six months. 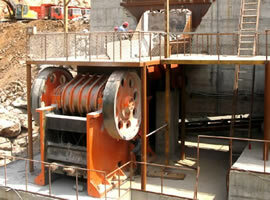 Overhaul content is mainly to repair and replace the rack, frame, beam and foundation of the secondary cone crusher. The repair interval of overhaul is usually five years. It should be pointed out that the medium repair and overhaul are connected with the hardness of the ores. For example, when crushing magnetite, the medium repair should be done every three or four months; while when crushing limestone, the maintenance period can even be prolonged for two years. Meanwhile, Symons cone crusher's daily maintenance has a great relationship with spare part quality.